Commercial style units are designed to keep out bugs, and a protect from wind and rain. On the flip side, they also retain heat and cool air inside the room when the screens are down. 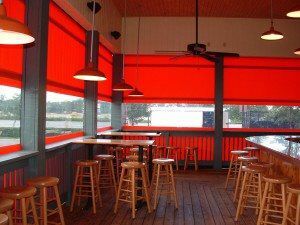 Available with a vast selection of fabric options to enhance your outdoor dining area and available with or without Vinyl windows. The 54″ tall vinyl panel allows your guests to be seated outdoors, with the screens down, and still be able to see outside. Full end retention MagnaTrack provide complete sealing of the opening and will not allow wind, rain, or pesky insects in. GUARENTEED to withstand winds up to 85 MPH in the Deployed position! 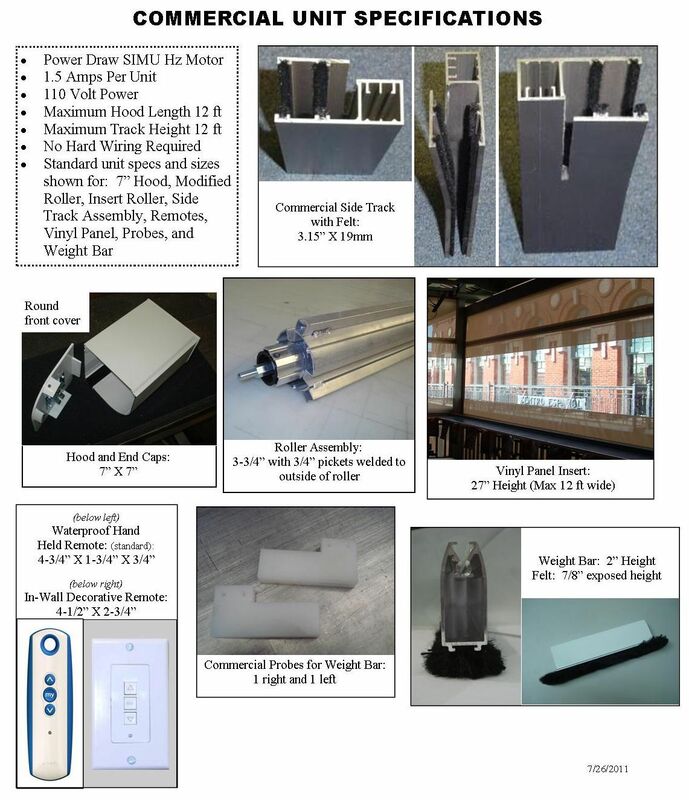 Hood size varies between 5-1/2″, 7", and 8", based on width and height of the unit. All screens are motorized and easy to operate, all at the push of a button. Built in OBSTACLE DETECTION motors eliminate the service issues in the event a chair or table was left under the screen system during deployment. View commercial style unit parts here. 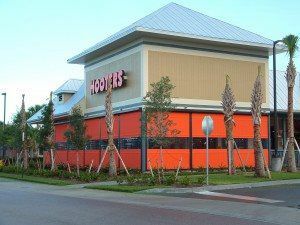 (above) Hooters in Naples, Florida, chose an orange sunbrella outdoor fabric instead of regular insect or solar screen, to be eye catching, and to match their decor. Now guests are able to sit in the patio area comfortably, with a clear view.